Mountain Ops: Getting ready for winter! The snowflakes have landed ! With only 1 week to go before the opening day of our 79th winter season, all hands are on deck to ensure that lifts and equipment are in top shape. Since the end of summer operations, our team of over twenty professionals have been hard at work going over hundreds of preventive maintenance tasks to deliver a smooth season opener. Our snow-making team has completed maintenance and preparation on one of the best snow-making systems in North America that keeps getting better every year. In fact, we just received 30 new snow guns that will produce even more snow at higher temperatures which will ensure an earlier start and a deeper base. This new equipment is even more environmentally friendly as it requires less energy than previous models. As it has been in the past, our goal is to provide the best snow conditions as early as possible, North and South sides, top to bottom. To this end, snow making began as early as November first, the low temperatures permitting us to use our snow making system at full capacity. 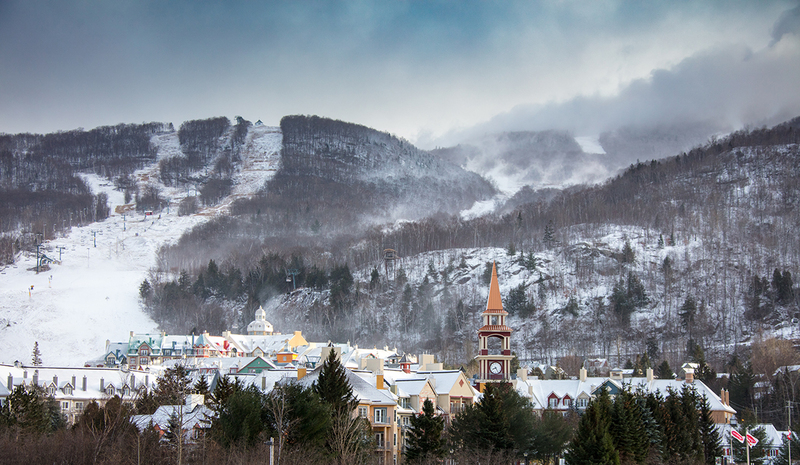 The first priority for snow coverage will be the runs dedicated to the 24-hours of Tremblant taking place December 8-10. We will then focus on coverage for the maximum amount of runs in time for the Holiday Season. Stay tuned for more updates on the progress of our snowmaking plans as they evolve. Mountain ops: goodbye winter, hello summer! We turned on the snow guns! Mountain ops: countdown to opening day!